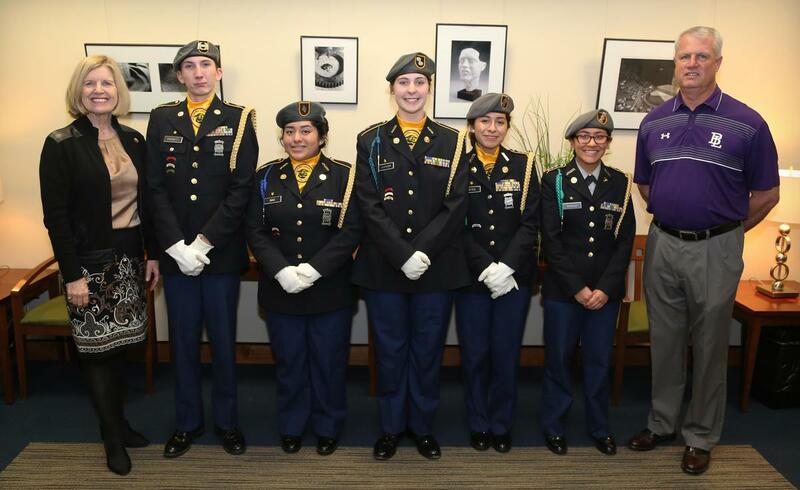 JROTC members from B-L High School had the honor of presenting the colors at the State Board of Education meeting in Columbia on Tuesday, March 12th. JROTC members from B-L High School had the honor of presenting the colors at the State Board of Education meeting in Columbia on Tuesday, March 12th. The meeting was held in the Rutledge Conference Center on Senate Street. Pictured from left to right are State Superintendent of Education Molly Spearman, Cadet CSM Troy Padgett, Cadet MAJ Cindy Diaz, Cadet 1LT Emily Leaphart, Cadet CPT Maria Reyes, Cadet CPT Zoe Noriega, and 1SG Tim Covington (Army JROTC Instructor).